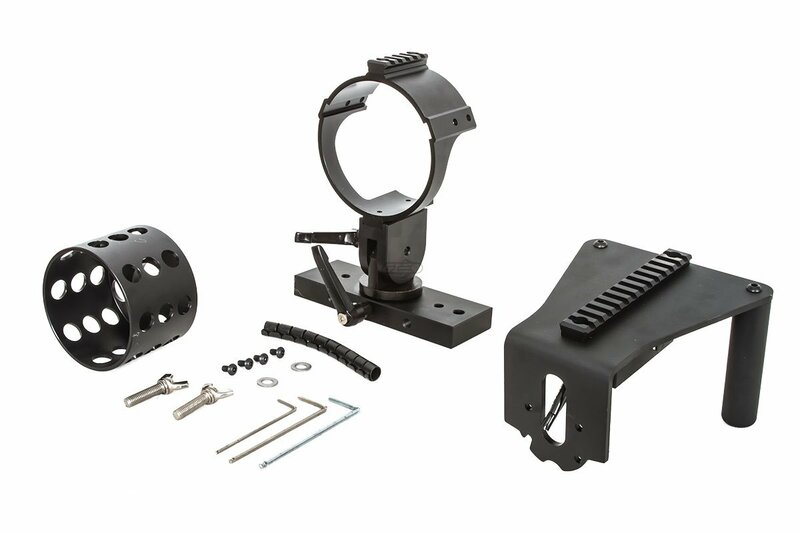 The Classic Army Micro Gun Vehicle Mounting Kit is used to mount the Classic Army M132 MicroGun to a vehicle for MilSim operation use. 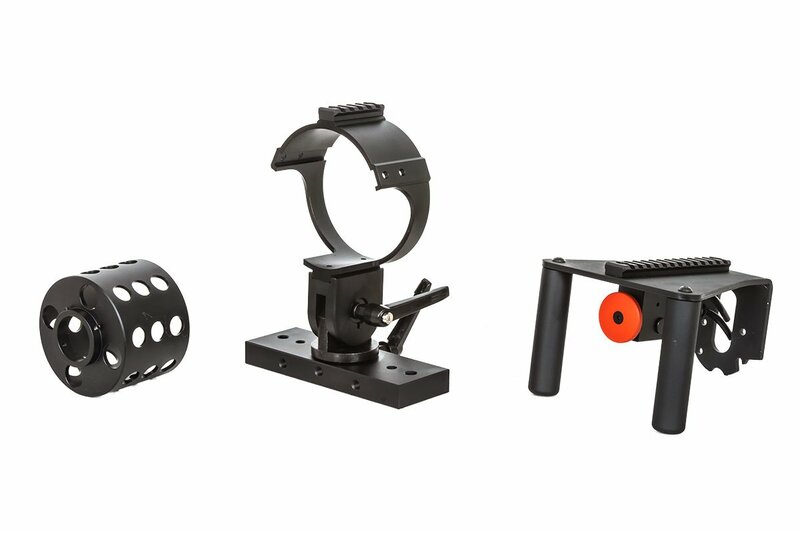 The Kit comes with the necessary mounting bracket and hardware, as well as including the barrel shield/flash hider for the end of the barrels, and the spade trigger and dual grips that feature a picatinny rail on top, and is mounted on the rear of the weapon. This kit is a must have for those looking to outfit a vehicle for MilSim fill the role of a gun truck. These parts are easily fitted on the MicroGun and can be swapped out between vehicle mounted and player held in a matter of minutes. Classic Army M132 Micro Airsoft Gun is NOT included. 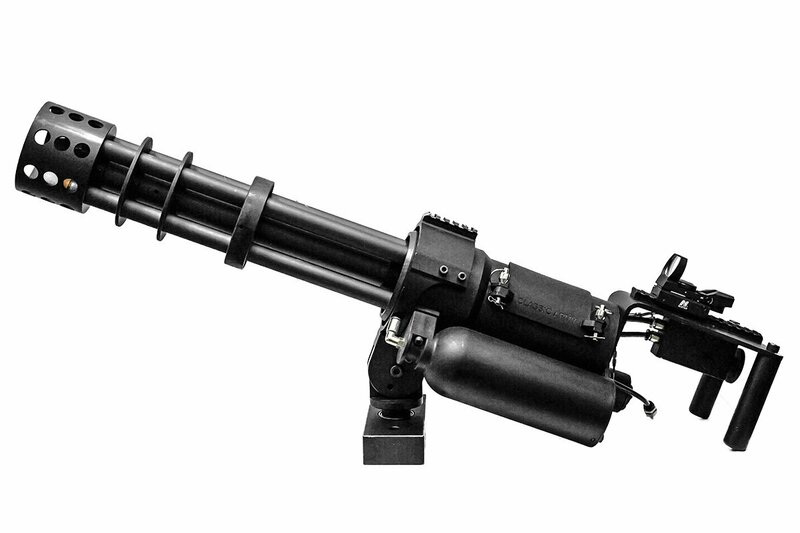 The M132 microgun is HPA powered but requires a battery to spin the barrels. However this is only the vehicle mounting kit. This is just the mount.